I grew up playing soccer, so running workouts and maybe some squats or lunges is pretty much what my workouts consist of, I never really lifted weights and didn’t know why women should lift weights. What the Heck is StongHer? Many women feel lost in the fitness world. In this information age, you’re getting slapped in the face with quick fix programs. People forget about face-to-face community, what it means to be a part of something, and to grow together. It’s too easy to Amazon Prime your way into isolation. 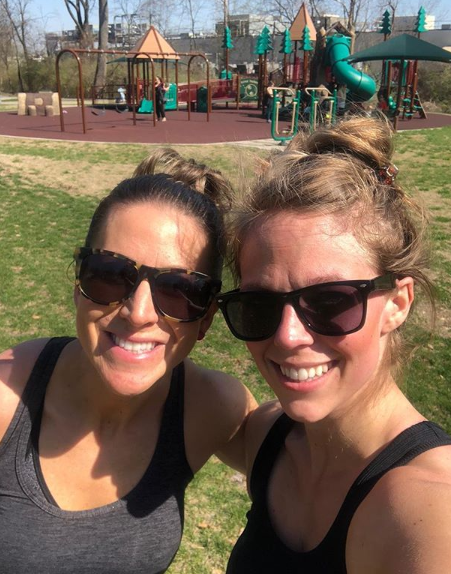 Finding myself facing that familiar smell of the gym eight weeks postpartum, I saw bros in the weight corner, women on the treadmills… and I was lost. My roots are in CrossFit, but I had to redefine myself now and I wanted these women to be a part of my community. I stumbled upon this girl with back muscles for days. We awkwardly shook hands and swapped stories; she was new to the area and desperately searching for that team-like community. It was an immediate kinship with both of us being former teachers recently turned stay-at-home moms. After a few sweat sessions together, we noticed a theme in our post-workout conversations; we shared a similar vision for a women’s empowerment based community. 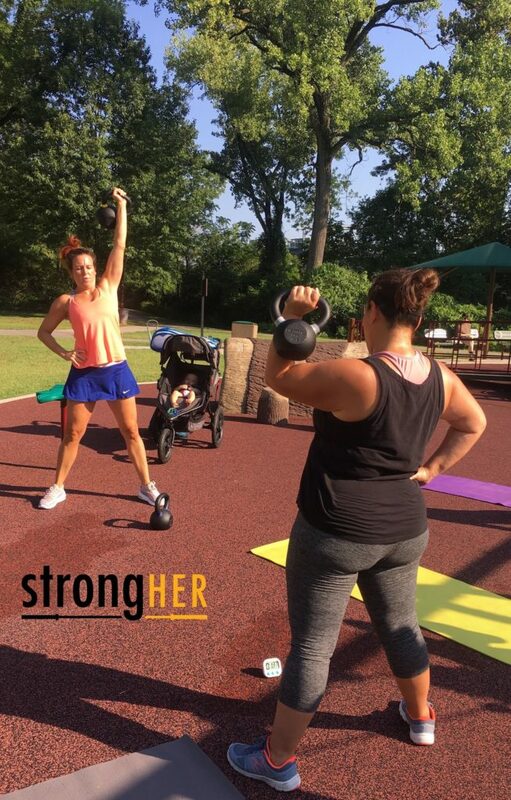 StrongHer empowers women through functional fitness and strength training. We further introduce women to their real self – to the powerful woman welling up inside which is capable of owning who and what she is. We pull from multiple modalities, emphasizing functional movements, proper technique, with light to moderate weight. We teach technique and skills, while safely implementing moderate to higher intensity interval training. There is just something so profoundly empowering to grip a barbell and defy preconceived notions and stigmas. You’ve heard it before. Women need to lift weights. Here’s why. Women are strong (especially moms). You know you are. Many women fear lifting weights will make them bulky; however, this is a MYTH! (It takes a very strict diet and specific supplements to look bulky). It’s NOT all or nothing. Fitness doesn’t have to be about counting every calorie and making it to the gym six times a week while being super mom & wife. You can find a quality program that is reasonably priced that produces actual results. Strength training is KEY. The more muscle you have = the more calories you burn = more effective weight loss. A better heart, better bone health, stress release, and better sleep… all benefits of lifting weights! As a society, we’re becoming more connected, yet, somehow, we often feel more disconnected. 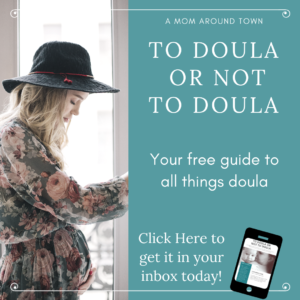 You can order practically anything off the internet and it’s delivered directly to your front door. We, as a community, need to take action. 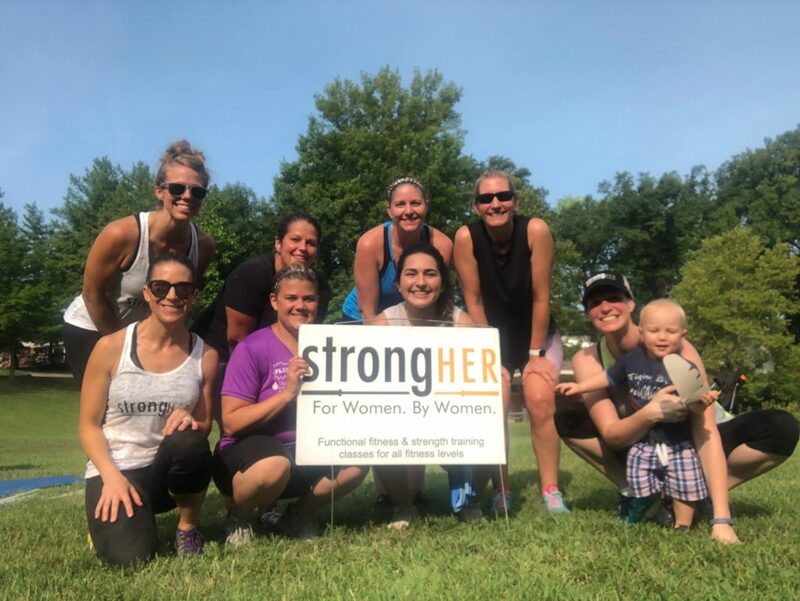 StrongHer is building a community of women who empower each other. We strive to maintain a positive environment while getting a fun/brutal/intense workout. 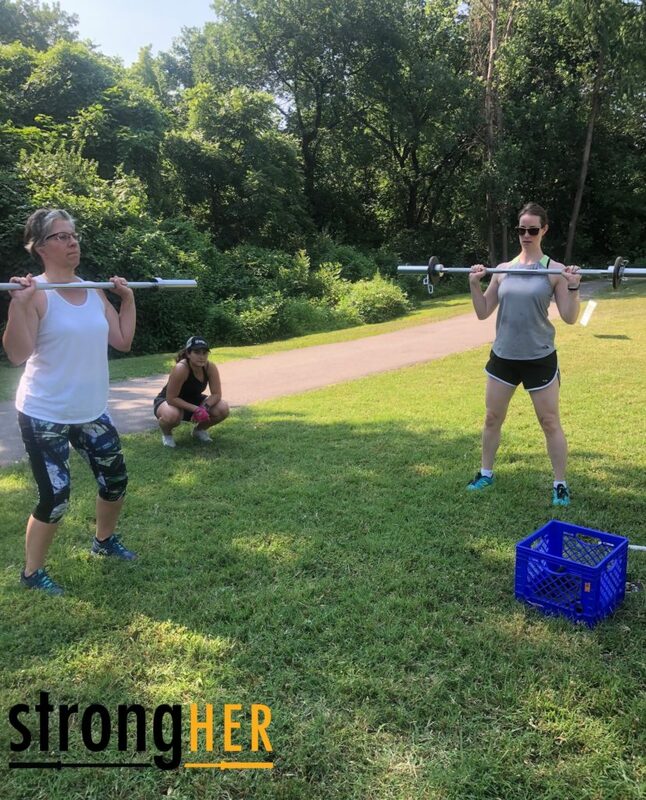 From fitting into jeans, to moving heavy furniture, to playing with kids, to dealing with a stressful job, all of us want to feel strong, determined, and confident in everything we do; so let’s start lifting now! You owe it to yourself. Lifting is not always possible though, we can’t always get to the gym or a class. 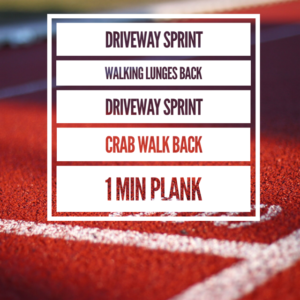 Here are three no equipment workouts you can do for burn anywhere, anytime! 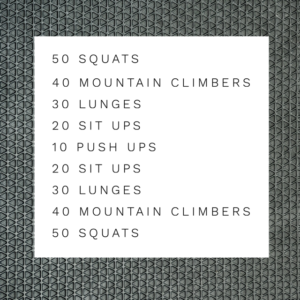 Want more at-home workouts or to join us for a free trial class and unleash your inner beast?! 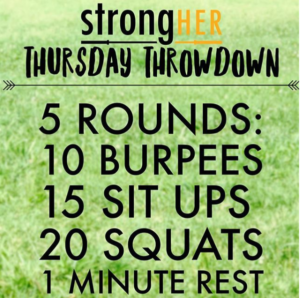 Follow our instagram or Facebook page for our weekly Thursday Throwdown at-home workouts!